Who’s ready for boggle? 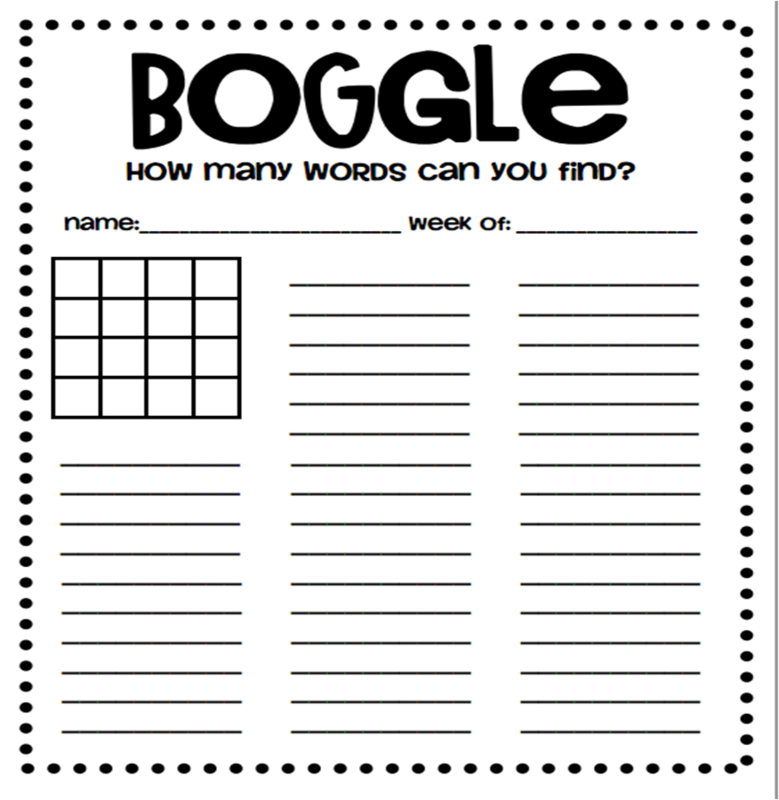 Get all sit down and print these boggle worksheets! Boggle the game where fun and brain work are combined. 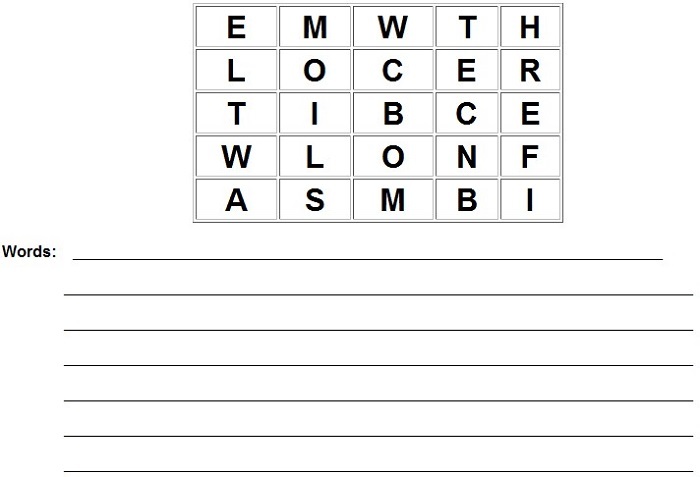 Try to find words in a 3×3, 4×4 or 5×5 grid of letters that we have provided in these templates. Boggle is a very fun game to play with family or friends, so make a bond with your friends and print some of these boggle word game pages! Click on the image and choose to save menu to get it! Boggle the Game is such an amazing and engaging game. Not only does it offer fun with your family and friends, but it also helps you to recognize letter patterns and improves fluency on vocabulary –so perfect for kids or students. 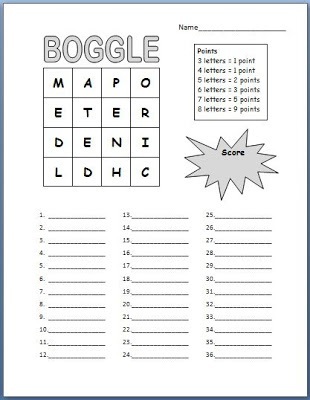 If you are a teacher or only a parent wanting to give your kid some fun while reviewing his/her vocabulary, you can use these boggle game printable worksheets. Print the sheets that we have in this page then distribute 1 copy and a pencil to each player. When playing this game, don’t forget to give a time limit. You can start timing for 2 minutes and the players will turn over their page and start looking for words. Improve your spelling with this fun practice using printed Boggle board game. This game will also make a fun game for all ages, from elementary through high school. There are more than fun that you can get by playing Boggle. Playing this game helps children learn letters, spelling, and reading while having loads of fun! Why hesitate? 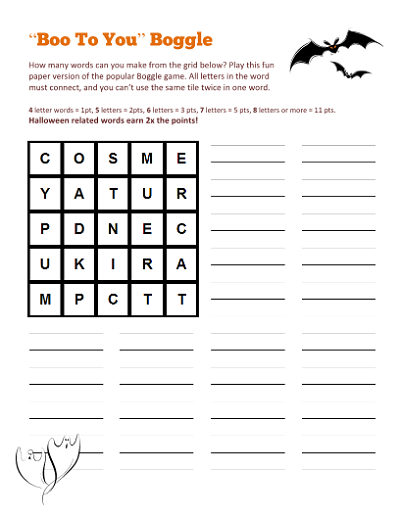 Download and print this fun game templates for a quick fun!